After scrolling through photos on your Smartphone or computer, you are bound to find many images that evoke emotion and regale you with cherished memories. Instead of indefinitely storing your favorite photos electronically, celebrate them the way they deserve with a photo canvas print. Choose from a wide array of sizes to perfectly fit any photo. From our classic 5x7 canvas photo prints to our framed panoramic 12x36 canvas, we have canvas that's perfect for any photos. 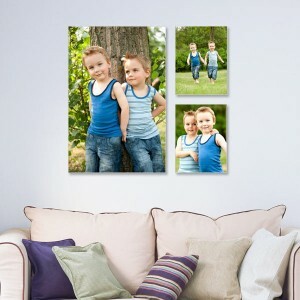 You can even customize your canvas wall art further by selecting either a portrait or landscape orientation. Depending on your decorating style, you may want to go with a wrapped-edge or framed canvas. Go large or go petite with either our large format or Canvas Lites options. Just like our photo prints and custom albums, our canvas prints are a great way to showcase any treasured photo. You will be certain to find just the right canvas to enhance your décor and highlight your most beloved pictures. 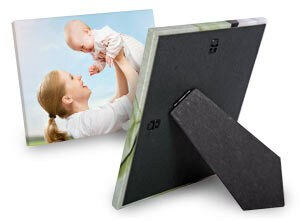 Ranging from 4x6 to 32x48, any photo canvas can be built with either a portrait or landscape orientation. For your scenic photo landscapes, select from 3 different panoramic canvas dimensions and brighten up the wall above your fireplace mantle. In addition to panoramic images, your favorite Instagram photos will fit like a glove on our 10 Square Canvas sizes. Hang a large canvas on the focal wall behind your couch or create the perfect photo wall art to dress up a small corner in your kitchen. Once you have your photo chosen and a wall to display on, peruse of wide selection of canvas dimensions and create a photo art masterpiece that you can enjoy for years to come. Complete the look of any room with our selection of distinguished canvas styles. Are you looking to create a gallery feel in your home? Our wrapped-edge canvas option will bring out the beauty of your photo and will give any room an artistic feel. Do you prefer to feature your photos with a stylish frame? Accentuate any image with either our classic Framed Canvas or our Premium Floating Framed Canvas option. 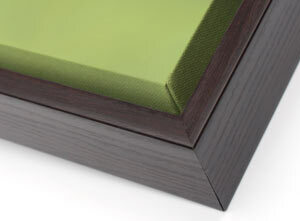 Both framed canvas options are available in black and walnut to add a sophisticated look to any photo. If you are looking for a way to dress up a shelf or a side table, look no further than our easel-back and Canvas Lites options. Easily add color anywhere from your bedroom nightstand to your kitchen counter. Our photo printed canvases will fit in anywhere, just pick a size and your favorite photo and you are ready to go. Take a look at our Collage Photo Canvas. Choose from several backgrounds and photo layouts and create an amazing arrangement to exhibit your family portraits or a collection of favorite wedding photos. Our collage canvas prints are available with gallery wrapped edges or stylishly framed to add interest to your wall art collection. 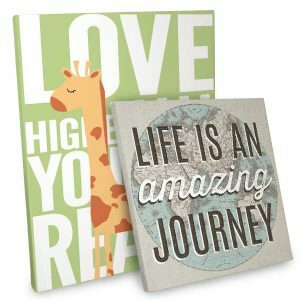 No matter your decor, our canvas collage prints are a great way to showcase your family's most cherished moments! Our gallery-wrapped edge canvases will certainly add an artistic flair to any room. 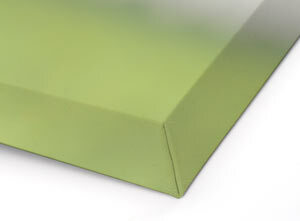 Choose your photo and select from either our photo-wrapped or neutral color edge to compliment your room’s décor. 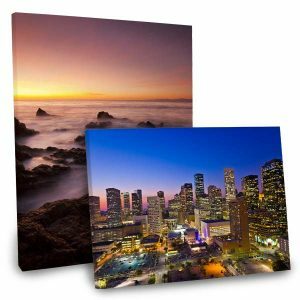 Wrapped-edge canvases are available in a wide variety sizes and can be hung on any wall in your home or set on a table with our Easel-Back Wrapped Canvas option. 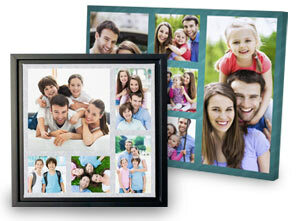 Additionally, they can be printed as a collage canvas to celebrate a whole collection of treasured photos. With so many choices, you can display any photo in its own unique way. Speaking of wrapped canvas options and features, we offer two custom choices for printing your photo on canvas. 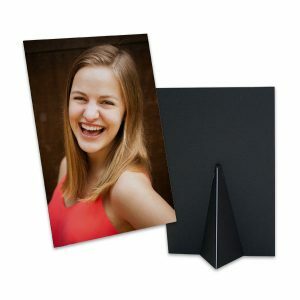 Museum wrapped canvas allows your photo to be printed on the face of your canvas with a custom color edge, while our gallery wrapped options wraps your photo around the edge. Depending on your chosen photo, you can go with our photo wrapped edge or fit more of your photo onto the face of your canvas with our color edge option. Ideal for any decor, our museum wrap and gallery wrap options are sure to brighten any wall in your home. Enhance your wall décor with a traditional Framed Canvas. 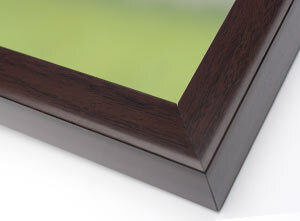 Your photo can be attractively displayed in either a black or walnut frame and add interest to any wall art ensemble. Pick a frame that compliments your furniture and adds to your room’s style. Choose from one of 5 different sizes and fill up a blank wall with color and personality. Framed Photo Canvases will be sure to draw attention to any photo and give your home a fresh, polished look year round. All Framed Canvases include pre-installed hardware for convenient hanging anywhere in your home. With a floating frame canvas, you can enjoy the distinctive art gallery flair of a wrapped canvas as well as the traditional elegance of a framed canvas. 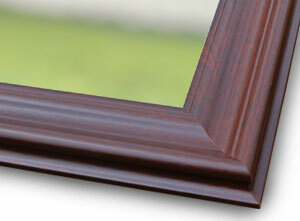 Your treasured moment will appear to be floating in your frame and will be perfect for any style of home décor. To further customize your new wall art, you can choose between either a photo wrapped edge and a neutral color edge, available in black, white and gray. Display your most cherished memories while adding a splash of color to an accent table or wall shelf. All Easel-Back canvases come with a gallery wrapped edge, easel stand and pre-installed hanging hardware. Should you decide to change up your décor, Easel Back canvases can be hung on the wall as well, making them very versatile. With a compact and thin construction, our Canvas Lites are perfect for filling any drab or blank spot around the house. Set them on a sofa table or brighten up your nightstand while adding a personal touch to your bedroom. Printed on real, high-quality canvas, your photos will stand out with rich, bold colors and enhance your décor in a unique way. Maybe you have several photos from your camping trip last year that are just too good to store on your smartphone, or you have a group of family snapshots from the beach that you want to display proudly in your family room. Present them together as one collection with our Collage Canvas. Choose from several sizes and find the perfect fit for any room. With interior design, there are so many things to consider such as style, color and scale, just to name a few. From your canvas’s frame to its dimensions, there are many options to pick from in order to accent any room. You can choose a canvas edge which matches your room’s decorative look. Our wrapped edge canvas will give your living room an exciting, gallery feel. Choose a classic framed canvas instead for a more traditional look. In addition to your decorating style, make your canvas fit any room like a glove with our small and large format canvas sizes. With numerous choices you will be sure to find just the right dimensions for your photos. Make a beautiful panoramic canvas to hang above your fireplace mantle or create several small format canvases for an interesting photo arrangement to fill your wall. No matter which room you decide to embellish, our photo printed canvases will certainly fit the bill. I tried MailPix for the first time and had a few hiccups…but they come through for me with a great attitude! MailPix was also the only online company I could find that had the sizes I wanted. I will be back! : ) The products look great, too. I submitted several photographs we took on our phones when in Bath, UK, to be reproduced on canvas. When they arrived I was actually speechless! They, all three, are absolutely awesome!! Far above my expectations! And I truly used Mail Pix because of the 70% off offer. Recommend HIGHLY!! This is the greatest company. My order turned out perfect! I needed some help on one, and it was immediately offered, professionally and competently. I will always order from MailPix! I have been using MailPix for prints and canvas prints for several years now and have always found their products to be of high professional quality. My orders have always been shipped quickly, my questions thoroughly answered, and I have received outstanding customer service! Couldn’t be happier with the attentiveness of the customer service team at MailPix. They have a commitment to quality that is unparalleled. They have made a loyal customer out of me. Thanks for being so easy to work with. We had a mess up on my first towel and immediately made it right by fixing it with no questions asked. I am very satisfied on how it was handled and will be purchasing again in the future! Not only did we receive our order in a timely fashion, but the canvas photos look amazing. The canvas looks better than the photos. Very pleased and will be coming back soon for holiday gifts. This was our first time ordering from MailPix. We ordered a 20X60 sunset canvas print which turned out absolutely beautiful. We had a few questions while ordering and had to contact customer service. They replied back within minutes and were very helpful. We were so pleased with our print. It looks like something you could buy in a shop. The colors were so vivid. We will definitely purchase prints from you again. Thank You! I have ordered several items from mail pix and generally I am very satisfied with all the products themselves. They are of good quality and clarity. They offer wonderful deals and their ordering process is very user friendly. Thank you for asking! I am very pleased with the cat canvas–color and detail are excellent! I am also pleased with my order! Anyway, I love that it is easy to reach you, and you reply promptly and pleasantly and take pride and care in creating your product. Thank you very much!